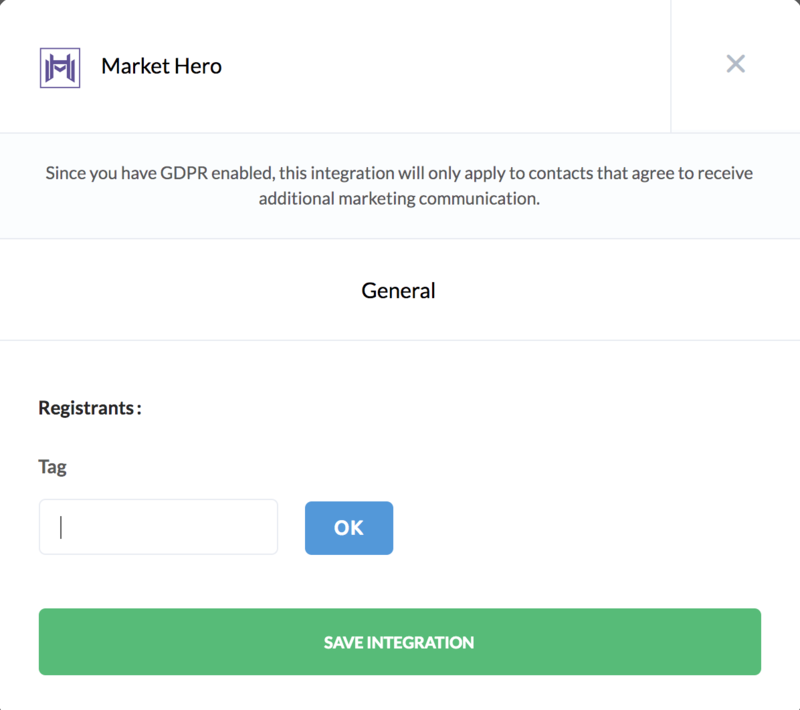 As a Market Hero user, you’ll love the ease of use with this integration. 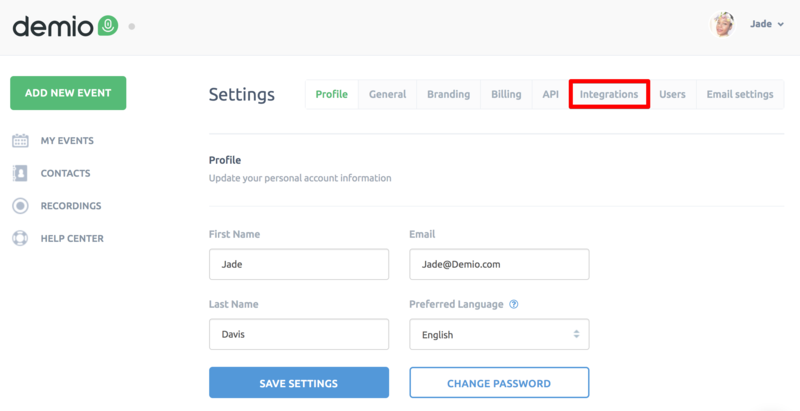 Integrate your account via API key and unleash the ability to segment new registrants by Tags. 4. 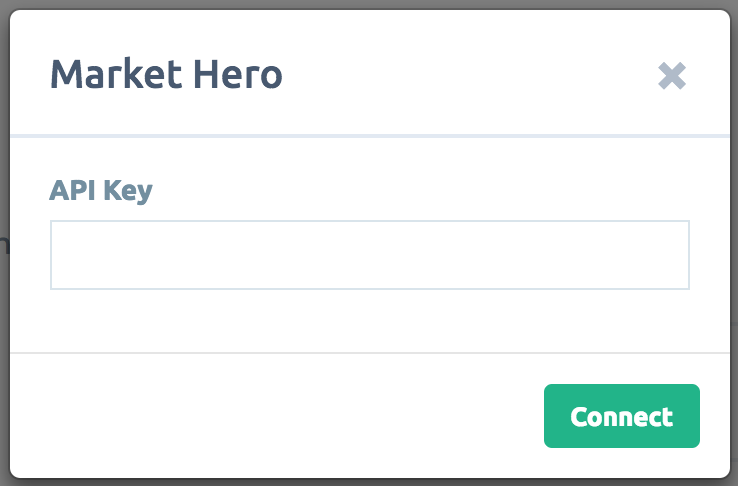 It will prompt you for your Market Hero API Key. 6. Paste the API Key in Demio and click "Connect" and Market Hero will now be integrated. 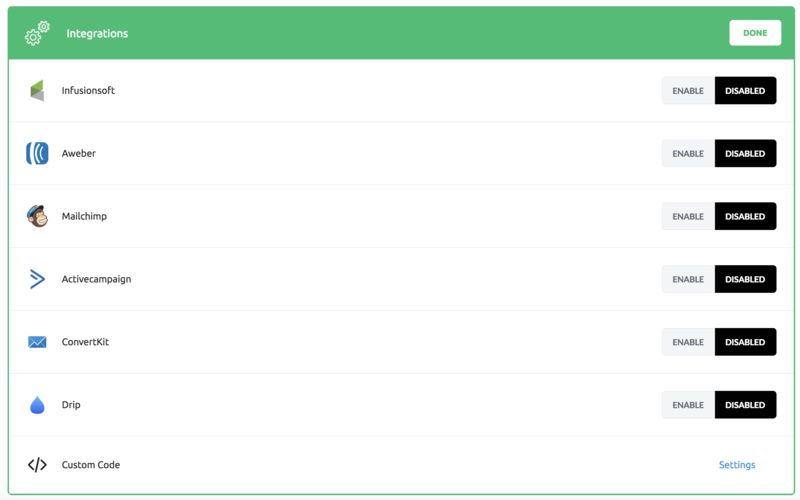 Once added, you’ll also get access to the Market Hero Automation Rules. These rules are always growing, but you’ll have the ability to segment attendees based on their actions simply by adding a tag. 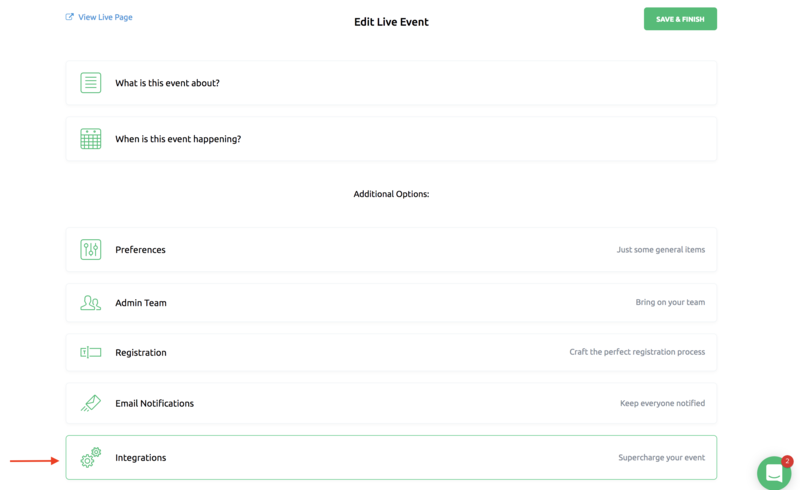 Go to your "Edit Live Event" screen and click on "Integration"
From here, you're going to go to the CRM and switch to "Enable." You'll see that you now have custom actions based on your CRM or Autoresponder. Here you can choose your Autoresponder and add attendee tags or add attendees in your CRM.